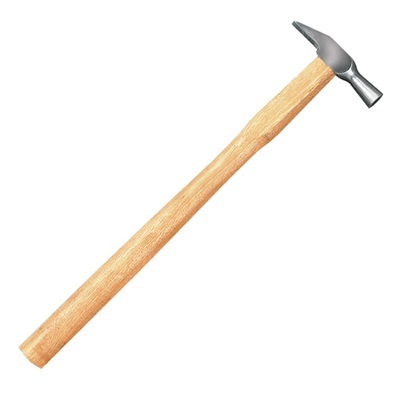 The perfect size tool for model railroading, ship modeling, dollhouse miniatures and whenever a full size hammer just won't fit. #22102 Hobby Hammer is an inexpensive tool that will get the job done. Use for driving home small pins, nails and model railroad spikes. 1-1/2 oz. steel head is 2-1/2 inches long. 9-1/2 inches long overall. Hardwood handle.